When cities get crowded and limited of access for most powerful cars, raises the growing need for small cars with superior fuel efficiency. This ultralight 1-seater is designed for ultimate performance and style with the extensive use of carbon fibre in chassis, body and wheels. 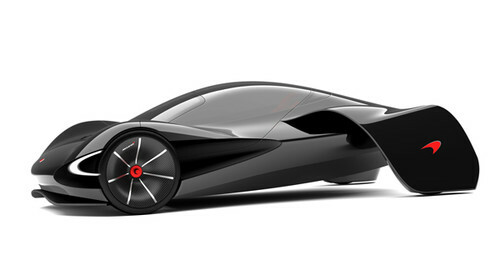 McLaren JetSet has been awarded a second prize in this year's International Design Awards in the category of alternative fuel vehicles. It has been recognized for its excellence in originality, creativity, excellence of execution, and overall impact. 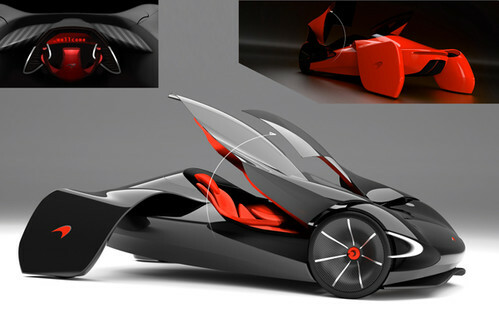 Marianna Merenmies presents a single seater concept, the McLaren JetSet. Its perfect design combines lightness and aerodynamic efficiency. 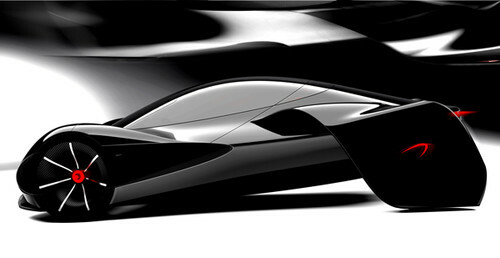 McLaren styling in the front blends with a futuristic backside fit, featuring drag-reducing draped fenders. The ultralight carbon fiber composites in the chassis, body, suspension and wheels lead to the car’s weight minimization. The body of this electric car can taper narrower and lower, as a result the vehicle aerodynamics has been radically increased.